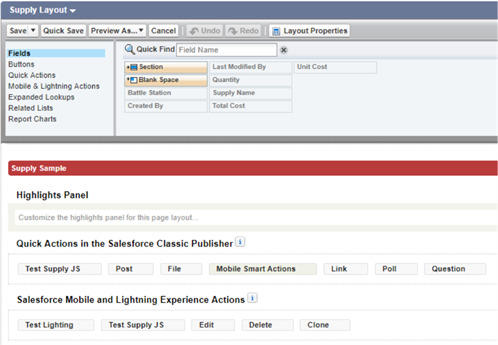 Visualforce page cannot perform the action on the controller after clicking the button linked to this action, if the page has unfilled required fields. 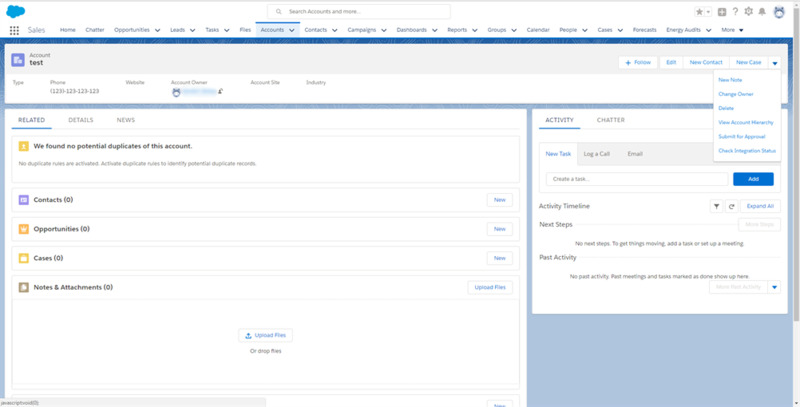 Each object on Salesforce has the ability to create its own Buttons, Links and Actions, that users can locate in the object’s layout page and use these on the Object edit page. 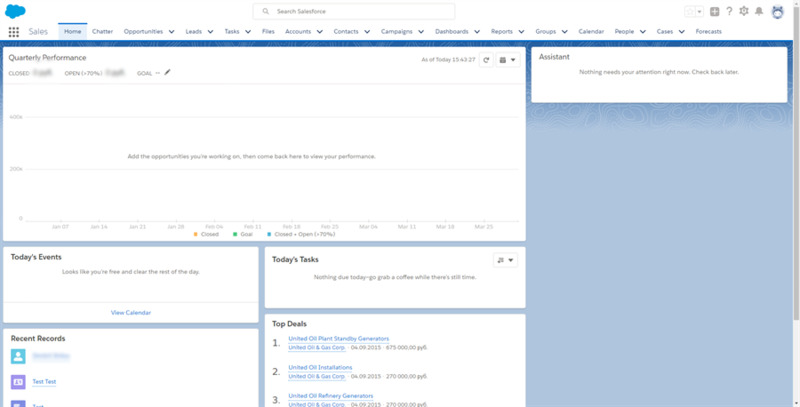 If you want to create the same button on the Lightning interface without programming, you can create Action or Global Action and bind this Action or Global Action to the object's Layout page. Add your own global action to the list section “Salesforce Mobile and Lightning Experience Actions”. This is how you handle the described issue. This issue occurs if we want to perform some action on the form on which the required field is located, by clicking the button. 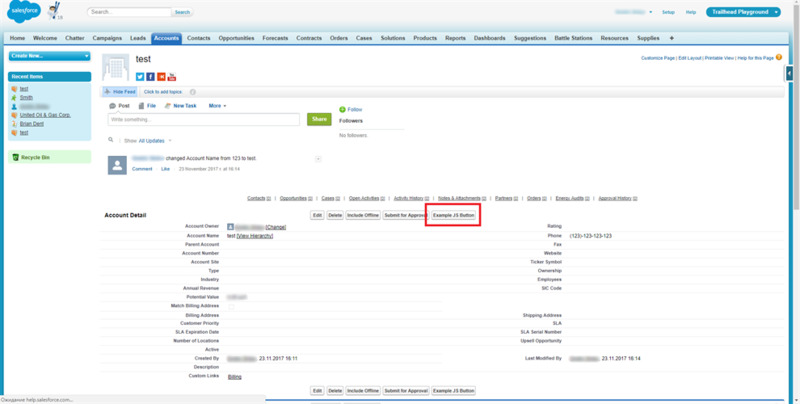 Suppose there’s a Visualforce page that allows you to create and edit the fields Account Name, Phone, Industry from the Account object. The Account Name field is a required field. Also on the form we have two buttons - Save, to save the account and Do Action to perform any action (In our case - to write to the log). When a user clicks the “Do Action” button while the “Account name” field is empty, the button doesn’t work properly. To solve this issue we can use the Visualforce tag <apex:actionRegion>. An area of a Visualforce page that demarcates which components should be processed by the Force.com server when an AJAX request is generated. Only the components in the body of the <apex:actionRegion> are processed by the server, thereby increasing the performance of the page. After solving the issue Visualforce page code looks like this. Lightning-development. We develop components and "features" of any complexity for improving your business processes. Integration. We integrate your platform with remote services - such as email marketing platforms, your website, etc. Migration. We have specially developed our SyncIT platform for migrating your data to Salesforce from other popular CRMs. Import / export using RESTful, SOAP and other external APIs. Einstein. Work with the advanced analytics component based on machine learning, which helps you getting more information about your sales processes. And more. Visualforce-development, deployment of third-party databases (using Heroku), setting up validation rules for inspecting objects. 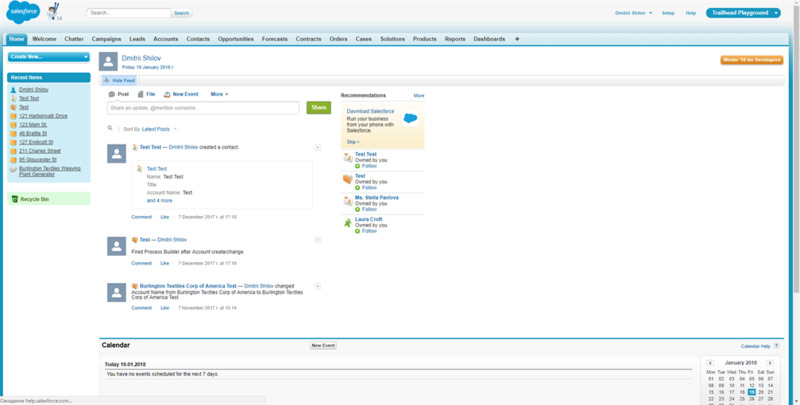 Any CRM to Salesforce migration. 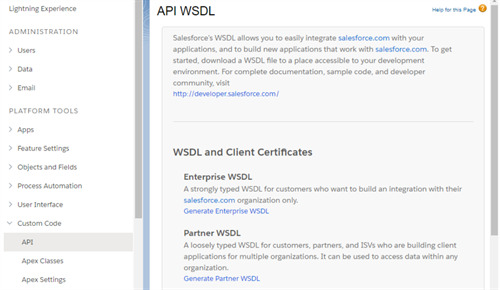 Advanced analytic tools for Salesforce development. Integration of your CRM, into a single system. fully customized for your workflow!